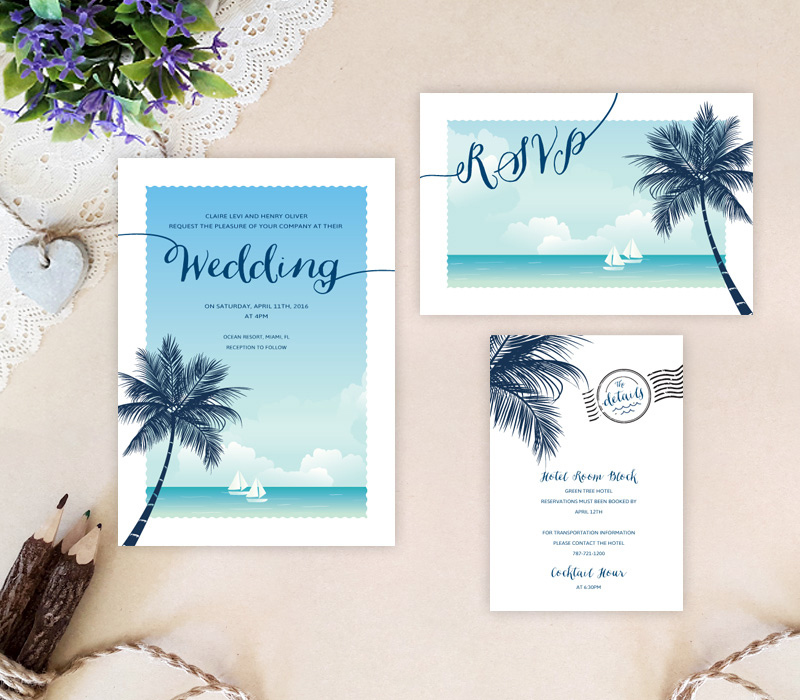 The destination wedding of your dreams is taking place soon, so invite your guest with our Destination Wedding Invitation sets! 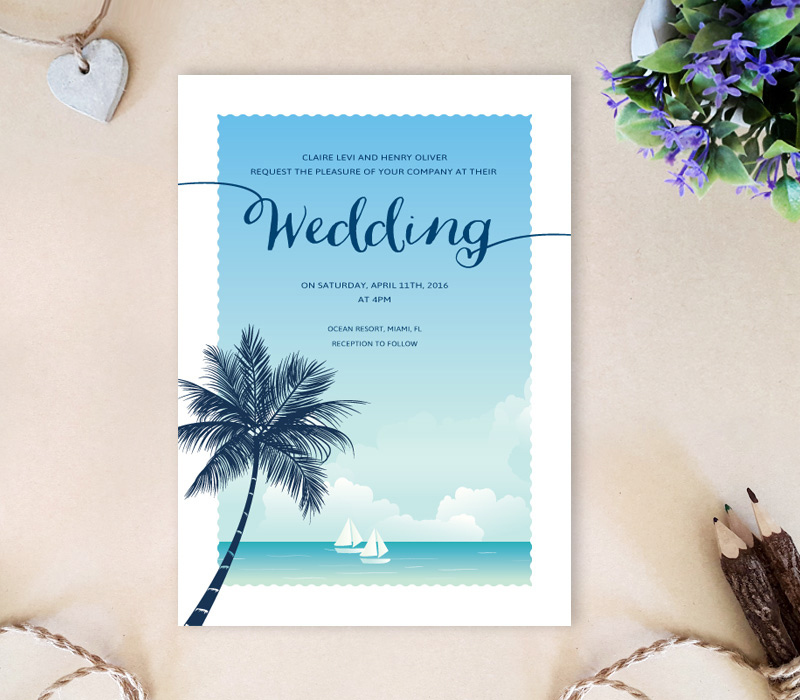 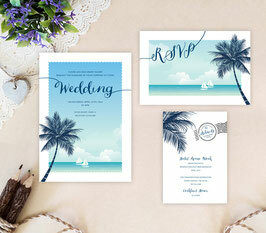 Our special invites display a relaxing, tropical beach scene complete with palm trees and clear blue skies. 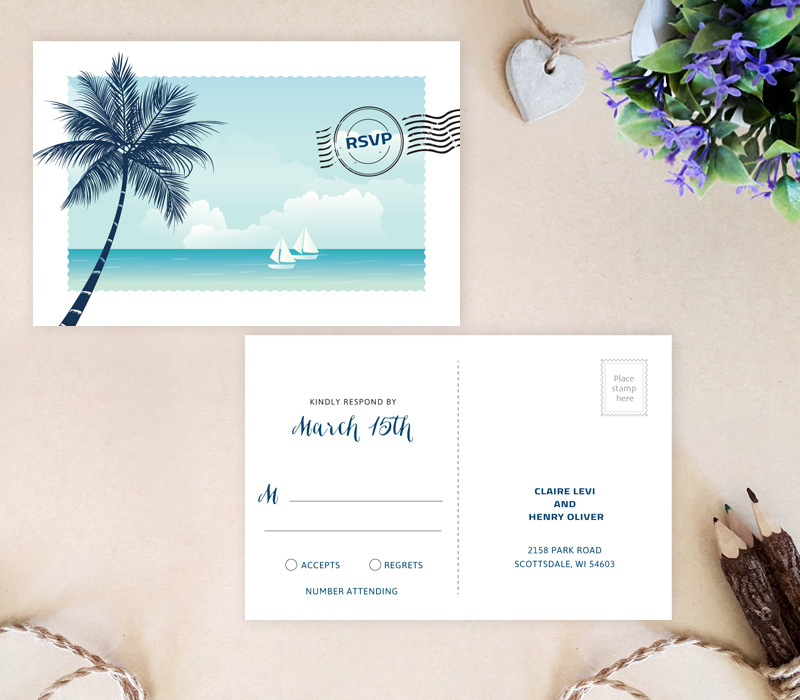 Select the number of sets you need at checkout page (minimum order is 40).